Love them or hate them, Bandit Signs work. They are purely a real estate phenomenon born out of the great recession and are aptly named for the Plastic We Buy Houses Signs that have dotted telephone poles in cities across the country. Aptly named because they are pretty much illegal everywhere. In Stockton, they come and go. It seems like every week a new crop goes up after last batch have disappeared. They seem to be in every neighborhood staked to the ground, nailed to a pole or zip-tied to anything stationary. 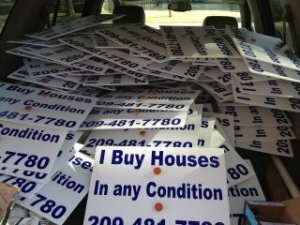 You have seen them on the side of the road they all say pretty much the same thing…”We Buy Houses Stockton CA in Any Condition“, “I Buy Houses and Take over payments” or “We Buy Houses and Pay Cash”. Have you ever wondered if they work? Are they for real? Who’s Behind the Sign, We Buy Houses Stockton? Are people really calling and are sellers really calling for all cash offers in today’s Real Estate Market? Is that a scam? Hello, my name is Peter Westbrook and I am a Stockton based Real Estate Investor and I can assure you that it is not a scam. Of course that was late 2008 and early 2009 and I wanted to make an immediate impact. I wanted my phone to ring. I never in my wildest dreams thought that someone might not take the signs seriously. Was I ever wrong. All of the wrong people at first. I got calls from everyone, except sellers. Cities, Counties and neighbors. I had conversations with everyone that had no appreciation of my marketing, my timing or my sense of urgency. I put them up, and sometimes I took them down. I bought this House and put my signs up. Within 1 week I had calls from others in the neighborhood. 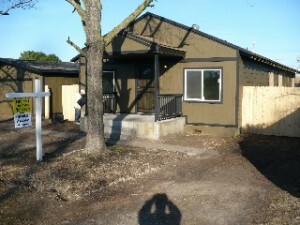 I bought 2 more Houses in Stockton. 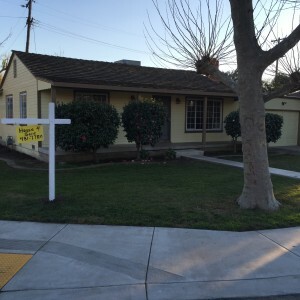 When I started, I had my early Saturday morning routine to hang my “We Buy Houses Stockton” signs. I admit that they attracted some stares and glares and sometimes even someone that needed to sell a house would pull over as I was hanging that sign 12 feet off the ground and want to know more about the process…. right on the street corner and occasionally they’d give me their contact information. But most were just curious. Back then, I’m not sure what I expected, but I can honestly say that those signs launched my real estate investing business. They were all I had to to communicate my message to the world and what I hoped was that they spoke to the needs of someone else. So, the signs brought out the skeptics, I mean, how do you react to a sign like this in your neighborhood? Wasn’t it bad enough that there were 3 to 5 houses on the block that might be able to use my help, the neighbors really didn’t want the daily overhead reminders. On the other hand I kept thinking this has got to work. I hand wrote a lot of my early signs to intentionally keep them less sophisticated. That was the strategy. Could it really be that simple?I knew most Homeowners would be very skeptical of a professionally printed sign. They wanted simplicity and someone that they could talk to without judgement. After all if you wanted to buy a house in any condition why would you hang a sign? Why would anyone trust that you were a legitimate business? What kind of people advertise that way? More importantly, why would anyone believe a sign that says “We Buy Houses”? 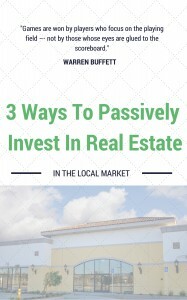 How many people know a professional real estate investor? Exactly! If you were to ask ten people what they think of my Bandit Signs, nine of them would probably just roll their eyes and laugh. After all, the We Buy Houses Signs are pretty silly looking. Of course, I dont care about nine out of ten Stocktonians.I care about the 10th one. The one who has a problem house, knows that a real estate agent cant help and isn’t embarrassed to call me.. For me and them the Bandit sign is a serious advertisement—they don’t see a silly sign. they see an investor that is approachable. Someone who won’t look down their nose at them or make them feel inferior for having an embarrassing house situation. Again, they’re a little bit put off, they’re worried about not understanding what its all about, but they’re still committed to calling a my sign TODAY. Who do you think they’re more likely to call, me or a real estate agent? I didn’t know it at the time, but my signs turned out to be a part of a larger educational process for most people. Back in 2007 – 2009, people were losing their houses to foreclosure in record numbers and they weren’t all underwater. Some were just victims of the recession and had job losses that started a whole domino effect and some went to bankruptcy. The economy was in the tank and people that were in this position were desperate to get rid of a house that was sinking fast. They were simply trying to, in most cases break even, for a house they could no longer afford without messing up their credit with a bankruptcy or a foreclosure. My Signs created an interest and legitimacy of sorts for those of us that were around back then and they educated the general public that companies like mine existed. Although I didn’t realize it at the time, It wasn’t important that they actually wrote down my phone number down they day they saw the sign… although a lot of people did. What was important was that they understood the concept and that they knew that if they needed help they could find someone willing to help them. What was important was that we started the conversation with the public letting them know that there was this other paradigm, that there were people and companies that existed in buying houses… we became known as the We Buy Houses Companies. In fact, the signs worked so well, that today I don’t do it very much at all because, the other guys do and now over 98% of all searches in real estate begin online and Guess what the number one search phrase is for finding my Company? 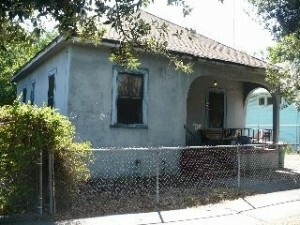 Who Buys Houses Stockton, We Buy Houses Stockton, We Buy Houses in any Condition, We buy Houses and Pay Cash Stockton. Now, guess who is sitting on Page one of Google to have those sellers call me. How else was I going to create a ongoing marketing effort for my business if no one knew how to find me. Referrals? Maybe, but that is a long shot for the long term. 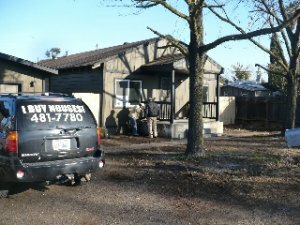 I certainly get a lot of referrals, but they pale in comparison to the number of calls and leads that I get because of my website https://www.IBuyHousesStockton.com, https://www.westbrookrei.com/we-buy-houses-stockton , and https://www.webuyhousesSacramento.org. 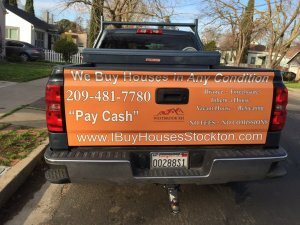 In fact, my advertising works so well that the tailgate of my truck is adorned with an orange We Buy Houses Stockton Sign. , and it has been a few years since I have actually gone out and braved the elements to hang the signs. But when I did I would say that it always worked. 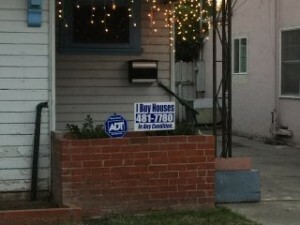 People ask me all of the time… Aren’t there other ways to advertise to buy houses like normal people? What they dont understand is that people dont advertise to BUY HOUSES. We created that niche. I am going to make an admission here, I am not normal and I am not like anyone else. And either are you if you have got a house that no one else wants, I want you to find me. I go through great lengths for you to find me and that includes a little personal embarrassment until you do find me. Let’s face it, if you have a house that is in desperate need of repair your options are VERY Limited? Real Estate Agents don’t Buy Houses. 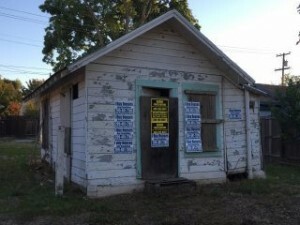 They list them for sale and most buyers of houses are not looking for the fixer upper that needs work. In fact 98 percent of all buyers need a loan to complete the purchase of a house and that is just the first part of the bad news. There are a limited number of lenders that are actually lending money to anyone, let alone to someone that wants to buy a fixer-upper. Just try and get a mortgage for any house in need of numerous repairs. This is true, even when the loans are not backed by Fannie ma and Freddie Mac; Conventional lenders are shying away from houses that need work because they need to have basic livability standards that have been established by FHA and VA in a post market crash housing market. 2) Put thousands of dollars into the house and then, hire a real estate Agent in Stockton try and sell it and compete with all of the other pretty houses on the Market, the short Sales and of course the foreclosures. Selling an Inherited Stockton House : Sometimes these new owners are surprised with houses that need so much work. They have deferred maintenance issues from several years of Neglect. 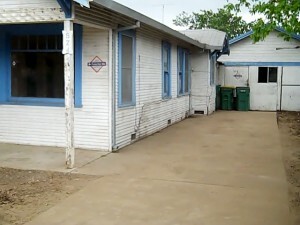 Most of the time its having an elderly parent that could not make the repairs or afford to pay someone else to do it. These houses also include emotional baggage that can paralyze those who’ve inherited the. Now fast forward and the heirs may have little or no means to fix it up either. I need to sell my House in Stockton Divorce: It’s a rude awakening when you have to survive on half of a household’s income. It’s unrealistic to think that if when two paycheck s barely covered the expenses, one can hardly maintain a house let alone keep it in good condition for an eventual sale. 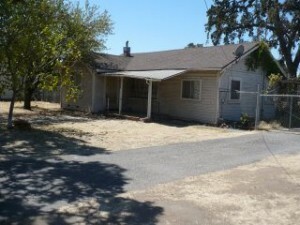 My Job Relocation forces me to sell our Stockton House: Two mortgage payments and/or a vacant house is not ideal. 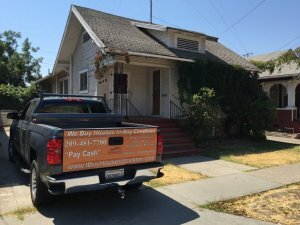 I Lost my Job, Sell My stockton house fast: When income is lost the maintenance on a house gets deferred and putting food on the table becomes a priority. 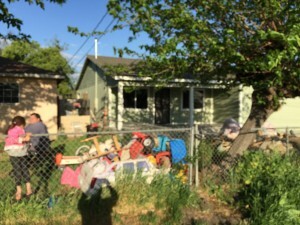 I am a Landlord, Sell my Stockton Rental properties: It is just a matter of time Property and landlord rights have eroded, renters have very little respect for property and the government encourages the bad behavior. How many times would you be willing to fix a house because the tenants tore it up for the 6th time? Landlord retirement accounts are shrinking and who has the $15,000 to repair a house that up and until the last bad tenant was in great shape. Id want to retire as well cash out and let someone else pay for the updates and/or repairs. 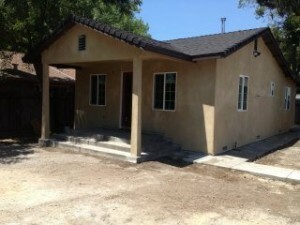 Avoiding Foreclosure in Stockton or Sacramento: Banks only own houses that they are forced to take. Le’s see if we cant save yours and have you leave with your credit and cash in your hand. So, if the foundation cracked 15 years ago, and stress fractures showed up in the plaster or sheetrock about the same time, those issues still exist. If the Roof sprang a leak a year ago and hasn’t been fixed, it is most likely still leaking today and the house is showing many signs of deferred maintenance. It’s a domino effect and it’s usually a matter of priorities. If the homeowners financial condition has not improved and allowed him/her to make the necessary repairs or the replacement, the house is going to continue to suffer. If homeowners are juggling the cost of a mortgage along with the cost of repairs and putting food on the table, the homeowner today is prolonging maintenance to any future date so they can eat. How are real estate agents going to solve that problem? So what is a Stockton Homeowner to do? It’s not like you don’t have choices. Find out More Here. 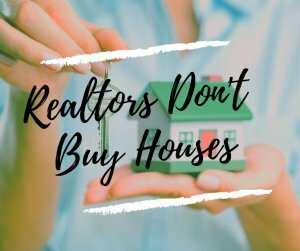 Add on top of that a city or county code violation or two from the city and you may just have a motivated seller with buyers NOT exactly lining up. What have you got to lose? 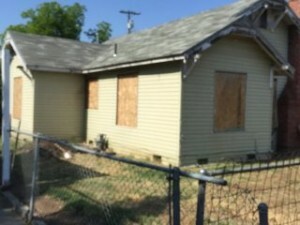 At least you will learn a lot about the Stockton and Sacramento real estate markets, you’ll get a Fair Market Value Offer and Sell your Stockton house in its “As-is” condition and you will have more information to make a better informed decision. My Solution is Free and it can possibly turn your huge house Liability back into an ASSET. and an Author that frequently writes e-books and articles regarding the Stockton and Tulsa Real Estate Markets. Peter can be Reached at 209-481-7780 or by email at peterw@westbrookrei.com.